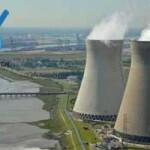 NTW warned the Belgian federal minister of Energy Marie-Christine Marghem, that her legislative proposal to extend the lifetime of the 40 years old Doel 1 & 2 nuclear power reactors threatens to break international rules for transparency. If the right of the public to participate in an Environmental Impact Assessment will not be respected, NTW will seek advice on initiating a formal complaint to the Compliance Committee of the Aarhus Convention. 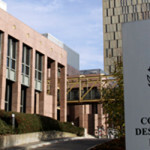 Between the intention of Austria to challenge UK government nuclear subsidies in European Court of Justice and the discovery of Flamanvile EPR flaws raising Hinkley C safety fears, nuclear subsides in UK draw global attention. 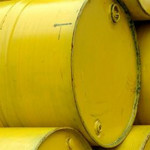 Dr Paul Dorfman, from the Energy Institute at UCL and member of Nuclear Transparency Watch, explains the various challenges encountered for UK nuclear subsidies. In the post-Fukushima era, one of the first steps of Nuclear Transparency Watch (NTW) was to establish a working group on the Emergency Preparedness and Response (EP&R), which has conducted a one-year investigation of off-site EP&R. 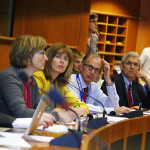 This report has been presented in the European Parliament in the presence of members Klaus Buchner, Ana Gomes, Jo Leinen, Michèle Rivasi and Julie Ward. Energiaklub, European Greens and NTW hold a hearing dedicated to the planned upgrade of Hungary’s Paks nuclear power plant. Benedek Jávor, member of the European Parliament and qualified member of NTW, criticised the project’s environmental and financial aspects and the non-transparent decision-making. Environmental analyses on the project are not available and there has been no public consultations. Nuclear Transparency Watch had a two-days meeting (8th and 9th April) in Brussels with various European NGOs to prepare a report for the European Commission on transparency and public participation in the field of radioactive waste management. The aim of the project is to provide input from the perspectives of environmental NGOs. The report will be published by end of 2015. On March 17th, Attila Aszódi, government official responsible for sustaining the capacity of the Paks power plants, announced that the environmental authorization process of Paks II had been launched. He explained that the procedure consists of both a national and an international process. 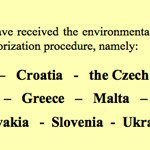 In connection with the international phase, he told reporters that thirty European countries received the documents of the EIA. 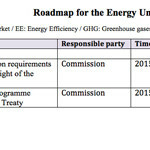 On 25th February 2015, the European Commission presented an Energy Union Strategy, initiative proposed by the new Juncker Commission. The Commission proposal will undoubtedly offer new opportunities for stakeholders to participate in the debates in the coming years, especially since “an energy dialogue with stakeholders to inform policy-making” is set to be one of its main elements. Nuclear Transparency Wacth is pleased to announce the arrival in 2015 of new NTW members: Klaus Buchner, NTW qualified member and member of the European Parliament (Germany), Patricia Lorenz, NTW qualified member (Austria) and Ian Ralls, NTW representative of Nuclear Network Friends of the Earth (England, Wales and Northern Ireland). On 7th April 2015, the French Nuclear Safety Authority (ASN) announced that fabrication defects had been found in the reactor pressure vessel (RPV) of the EPR reactor under construction at Flamanville. This information was soon confirmed by the manufacturer of the components, Areva, and the operator, EDF. The following link is a synthesis of this information completed by Wise information and research. On 26th April 1986, the worst nuclear disaster has yet seen occurred in reactor block number 4 at the Chernobyl nuclear power plant. Radioactive material was released into the atmosphere over a vast area. Within six months, a lid was constructed under difficult conditions to cover the remains in an attempt to contain the radioactive releases. What is the current situation of this protective sarcophagus expected for 20 to 30 years? Nuclear Transparency Watch promotes the conditions for democratic transparency and effective public participation in the nuclear sector.